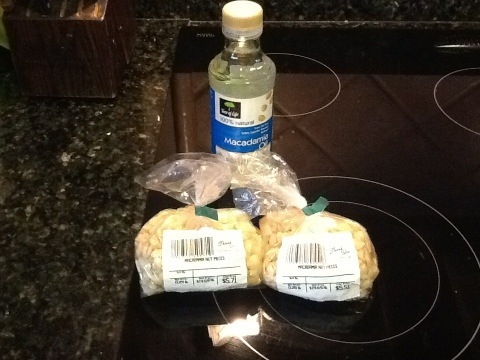 Macadamia nuts: raw macadamia nut pieces & macadamia nut oil from Garden Cove. 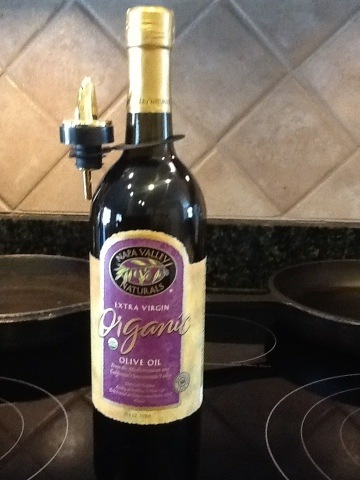 Extra-virgin olive oil: Napa Valley Naturals from Earth Fare. It’s organic, and it even was on sale. I thought it was domestic, but turns out it is just bottled in California. What’s up with that? Dairy products: organic whole milk and Neufchâtel cheese, raw milk cheddar. They were out of the Alabama organic milk except in chocolate, which I bought for daughter #2. Indulgences: we already have an excellent stock of dark chocolate from Christmas, so I didn’t need to purchase anything. Hardest part: finding raw macadamia nuts. If anyone knows a local source, please let me know. Garden Cove said that they only carry whole macadamia nuts during the Christmas season. Best part: I can see dark chocolate macadamia nut bark in our future. Purchases unrealistic to sustain long-term: unless I can find a cheaper source, Macadamia nuts – not sure I can justify $21/pound! Comments: I was not able to find local foods at this time of year. I am looking forward to finding more local sources of food in the spring from farmers’ markets and local farms. I did find mustard greens at Garden Cove. They weren’t organic, but they were grown in the U.S.A., and honestly I doubt that they came from too far away! 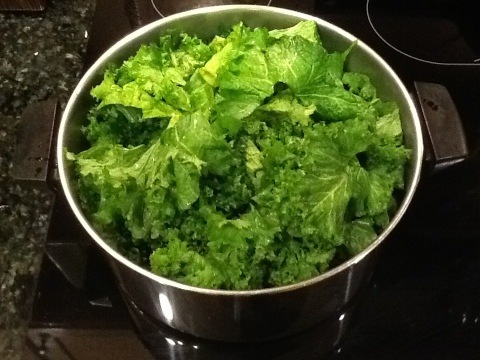 I learned about mustard greens when T & I were first married and he requested them for dinner. I don’t see them very often anymore. 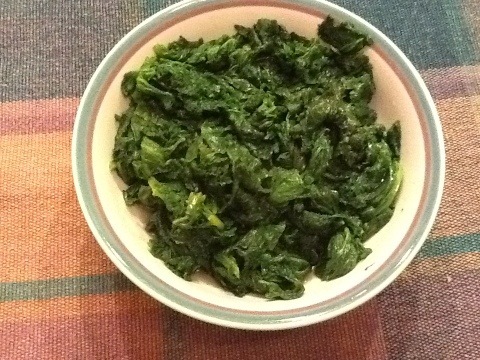 They are somewhat spicy and bitter, although not as bitter as turnip greens. 2 bunches filled a large pot. I add a little water and steam them for about 30 minutes instead of the traditional boiling them to death. They cook down quite a bit. I add olive oil instead of bacon grease and fat back. 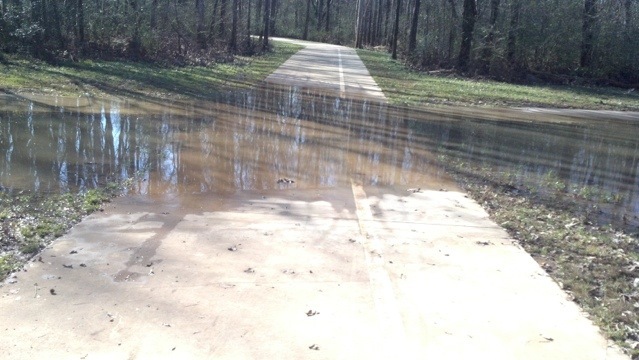 Comments: The greenway was flooded at about the .75 mile point, so we lived dangerously and walked along the road. Was it an appropriate day to get adequate sunlight? It was sunny out, but it was too cool and windy to even wear short sleeves. Best part: It’s beneficial for my mood to get out in the sunshine. Suggestions you can integrate long-term: taking a vitamin D supplement. It’s only feasible for me to get adequate sunlight when I am off work and the temperature is warm enough. I have suggested a sunbathing deck on the roof of our building. I’ll bring up that idea again in the spring. Daily highlights: going for a walk on a sunny day with a friend and living to tell about it! 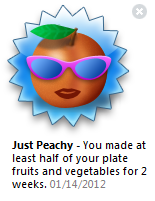 Oh, and I earned a cool badge on Lose It! Daily needs-to-improve: I still find myself craving the stimulation from electronic media. I found myself staring at the computer screen last night not sure what I was really searching for, so I made myself just go to bed!